By the skin of our teeth we have finally made it to the Netherlands and the last stretch of our Spring tour. Extremely and unsurprisingly late German trains, a broken car on the slip road of a motorway and a bothersome blundering breakdown service couldn’t stop us. Today we put best feet forward (and hopefully best hire car forward) at head to Geldrop to play at Roots In ‘t Groen. This one is for your pipe, stick it in and smoke it – LOUD! 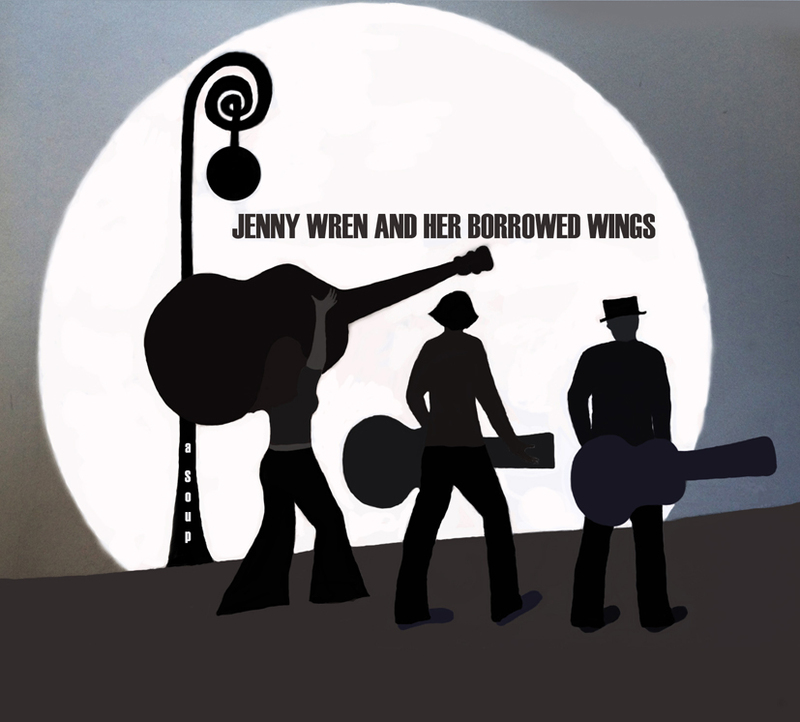 Jenny Wren and Her Borrowed Wings performing CAST OUT THE SNAKE a scorching taster from there forthcoming third album. Enjoy! TONIGHT! 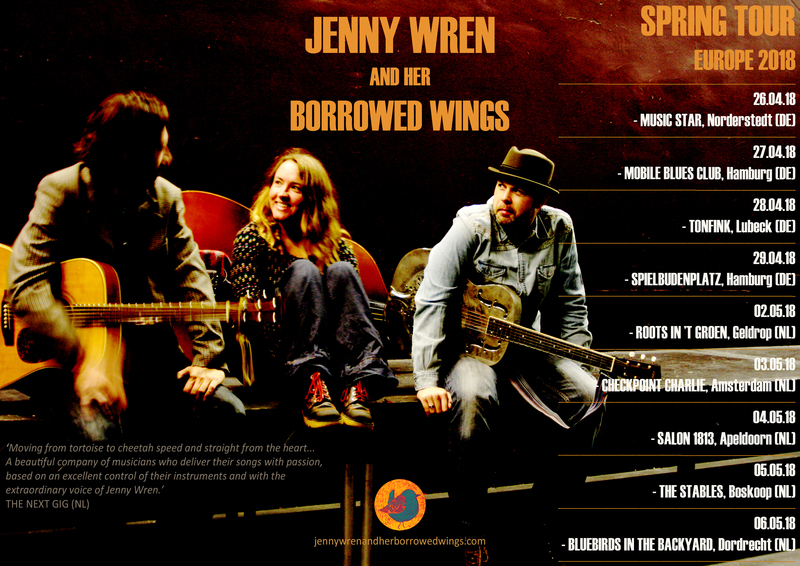 Jenny Wren and Her Borrowed Wings will be bluesing The Bear Club. It’s one of our very most very favourite places to play and we are awfully excited to be returning. Ah The Bear, how we love you so. 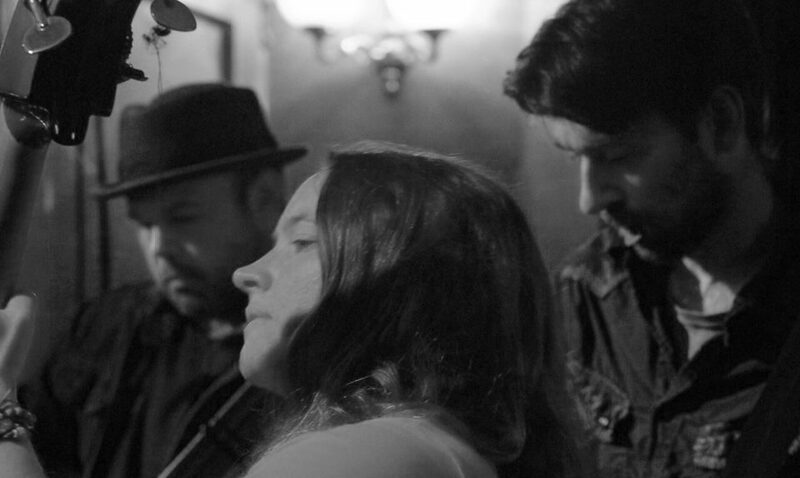 Just a short train ride up from London and you can find yourself in one of the best Jazz & Blues clubs around. Excellent sound, great building and as always a sensational cellar! £9 adv. £10 on the night. Free to ‘Bear Keeper’ members.